If you unfortunately come across Bed Bugs don’t panic as they won’t chase you, they don’t fly, and don’t spray over the counter products as more likely you will help to make the problem worse as they may spread to other areas. Don’t toss out any furniture of infected rooms unless told to do so by a true professional, most if not all your furniture can be saved. Also you will hinder the inspection process. Don’t launder sheets or any fabric related items in infected rooms, this will come later. Don’t sleep in another room to get away from the Bed Bugs, they more likely to hunt you down and infest other areas. Don’t, Don’t, Don’t under any circumstances are you to fog, fogging (bombing) will not correct the problem and highly likely to infest other rooms and/or adjacent units. You can place a tight fitting towel under the door of the infested room, use tape or child protectant guards on unused electrical outlets. This will assist in keeping the bug isolated in target room. You can place Bed Bug specimen in clear zip lock bag. Do your homework if you’re going to hire a professional, shamefully like any other industry we are now 15 years into the Bed Bug epidemic and the level of professionalism is lacking. Ask detailed questions and demand a warrantee. Look at public review forums i.e. Bedbugger.com reviews can be manipulated, DO YOUR HOMEWORK! Overall a physical inspection/assessments 99.9% of the time needs to be conducted. Inspections shouldn’t be done over the phone as no two Bed Bug jobs are alike each has its own challenges and the prep must be customized to the customers’ needs. Not everyone has to pack their lives away and launder everything as if you were moving away. In some cases this may be part of the prep process, but only with performing inspection can we truly customize your treatment plan. This isn’t a scam this is the proper way of dealing with a Bed Bug problem. If this makes sense to you please give us a call we will be more than happy to discuss your Bed Bug problem at detail and no pressure. 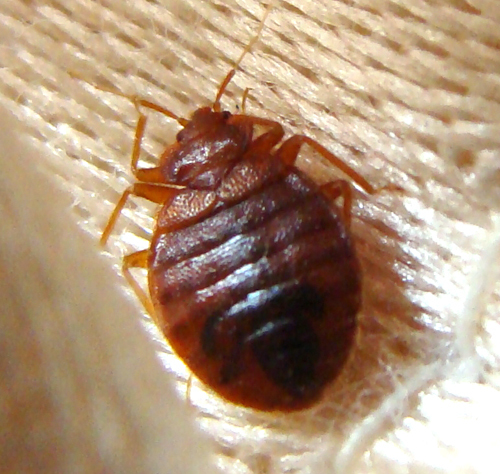 We give you the information you decide, we offer Bed Bug eradication packages for all budgets. Most everyone can now afford a Bed Bug treatment, what you can’t afford is not making the call to Freedom and take full advantage of our treatment packages. Treatment is highly recommended by a professional, over the counter products are available for do it yourself. We strongly advised you despite what you may have read on the internet do not BOMB! NO BOMBING, NO FOGGING!!! Bed bugs are attracted to carbon dioxide, which is produced by humans, warmth and human scent. The insect bites by piercing the skin of its host with the use of two tiny hollow tubes. It then injects its saliva, which contains powerful anesthetics and anticoagulants to numb the area and water down the blood for feeding. The bed bug then begins to extract a blood meal. The feeding process can take anywhere from 3 to 10 minutes and after it’s done, it quickly returns to its place as bed bugs are not known to be as sociable as ants. It’s also important to note that adult bed bugs can live as long as 18 months without feeding. However, younger insects, such as instar nymphs, should eat within the first 30 days of their life in order to survive. Some nymphs can survive longer, but not 12 to 18 months as adults can. I’m gonna sound like a commercial for this guy, but I feel like he saved me. I discovered to my horror that I had the little horrible pest and I swear I was ready to jump off a bridge. They bit up my brand new girlfriend and that was how I discovered them. She and I got the hell out the apartment, all freaked out and trying to decide what to do. We saw a sign that said “Bed Bugs?” and I called the number after every bug guy in the yellow pages that we called said they couldn’t do anything for me for days. The guy who answered the phone, Cesar Soto( I put his number to the end) said he would come right over even though it was a Sunday. At this point I was incredibly depressed as Cesar discovered bed bugs even in my books…. It was a really bad infestation as I travel all the time with my band, I sometimes spend weeks on the road so these guys went unnoticed for some time. I was so delighted with Cesar’s knowledge of bed bugs that I knew they be light at the end of the tunnel. Cesar and his crew not only made my apartment bb free gave me my life back…..
“We had bed bugs in 3 out of 8 units in our building, Cesar Soto came in and immediately started addressing the issue. He isolated the bed bugs to each apartment and treated the rest of the building to ensure the bugs did not spread to the other apartments. He is very professional, his prices are reasonable and he’s done a thorough job. There were lots of ups and downs among the tenants in the building and even handled that with great fortitude. We’ve now been bed bug free for 8 months. I sincerely recommend Cesar and his dog Tre for dealing with bed bugs. What is extremely apparent is how passionate Cesar is about his work. He came off as extremely knowledgeable in all aspects of the problem. I was overcome by a sense of comfort in his experience at dealing with BB infestations. This lead to great advice about how to conduct my own behavior so as not to spread the problem into other areas. He knows how the bugs act and react and how you in turn, should counteract. Even the little things such as how to tie bags to secure your clothing to ensure quarantine. After 1 week of prepping my apt on my own, he came in for a treatment with his crew. This was followed by a second treatment 10 days later. It has now been 3 weeks since my first treatment and I have not any bites or sightings. Thanks Cesar!